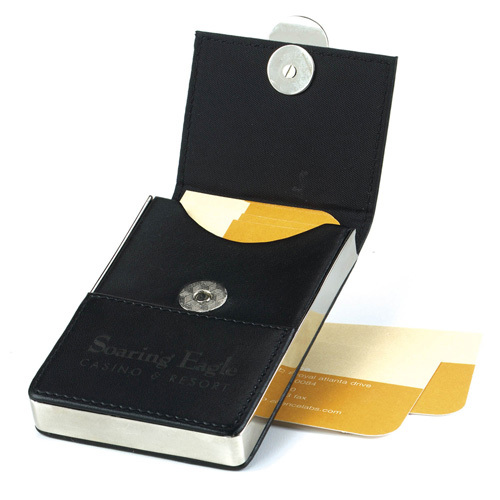 Cairo Card Holder Flip case style design and combines chrome metal with black leatherette construction. Bulk / 35 lbs / 200 pcs. / 20x16x14box.